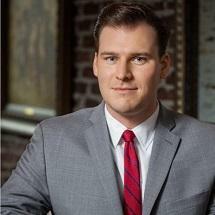 Jonathan practices general civil litigation and has a passion for trial advocacy. Jonathan has participated in trial advocacy programs since high school and has long enjoyed relaying this passion to college and high school students with similar interests. Jonathan puts his passion to work for each of his clients and prepares each case as if it will be decided at trial. His dedication ensures our clients receive the best outcome possible. Jonathan has previously worked in public service with the New York City Council and the Cleveland County District Attorney's Office. Jonathan provided New York City legislators advice as they considered a variety of proposed municipal legislation. At the Cleveland County District Attorney's Office, Jonathan assisted in a variety of tasks at various stages of criminal litigation. He drafted several legal documents for criminal matters, both at the trial court level and for the Oklahoma Court of Criminal Appeals.